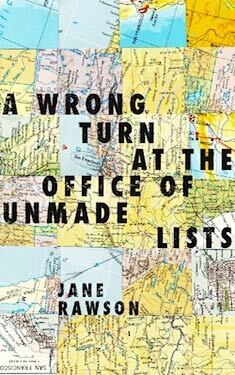 If you liked A Wrong Turn at the Office of Unmade Lists you might like these books. It is 1997 in San Francisco and Simon and Sarah have been sent on a quest to see America: they must stand at least once in every 25-foot square of the country. Decades later, in an Australian city that has fallen on hard times, Caddy is camped by the Maribyrnong River, living on small change from odd jobs, ersatz vodka and memories. She's sick of being hot, dirty, broke and alone. Caddy's future changes shape when her friend, Ray, stumbles across some well-worn maps, including one of San Francisco, and their lives connect with those of teenagers Simon and Sarah in ways that are unexpected and profound. A meditation on happiness where and in what place and with who we can find our centre, a perceptive vision of where our world is headed, and a testament to the power of memory and imagination, this is the best of novels: both highly original and eminently readable.